SLOW Clean-UP civic experiments tackles abandoned petrol stations through phytoremediation and community involvement. Frances Whitehead is a civic practice artist bringing the methods, mindsets, and strategies of contemporary art practice to the process of shaping the future city. SLOW Clean-Up civic experiments is an ongoing project providing an alternative to the ‘dig and dump’ approach to brownfield or derelict land remediation. SLOW Clean-Up is designed to restore sites previously occupied by petrol stations, a widespread feature of the urban environment. This project is taking place in Chicago and is led by the artist Frances Whitehead working in collaboration with scientists and communities. Whitehead employed her training and skills as an artist to explore cultural and environmental concerns using an alternative, creative perspective. In particular she used the idea of slow processes being a good thing, derived from the principles of the Slow Food Movement, to tackle polluted sites. 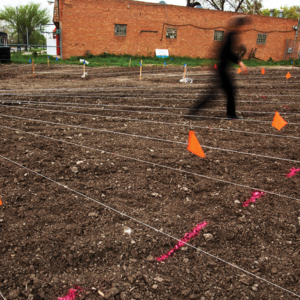 The site, now named The Cottage Grove Heights Laboratory Garden or sometimes The Lab Garden, is a collaboration between nature and culture, science, engineering and the arts. 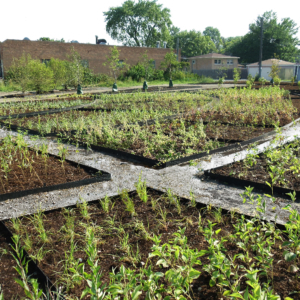 SLOW Clean-UP uses phyto-remediation, the process of living plants enhancing soil cleanup. Working with Dr. A.P. 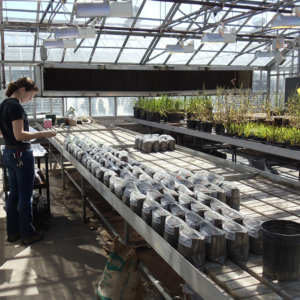 Schwab, Professor of Soil Science at Texas A&M University, Whitehead investigated which native ornamental plants had the capacity to remediate petroleum pollution. 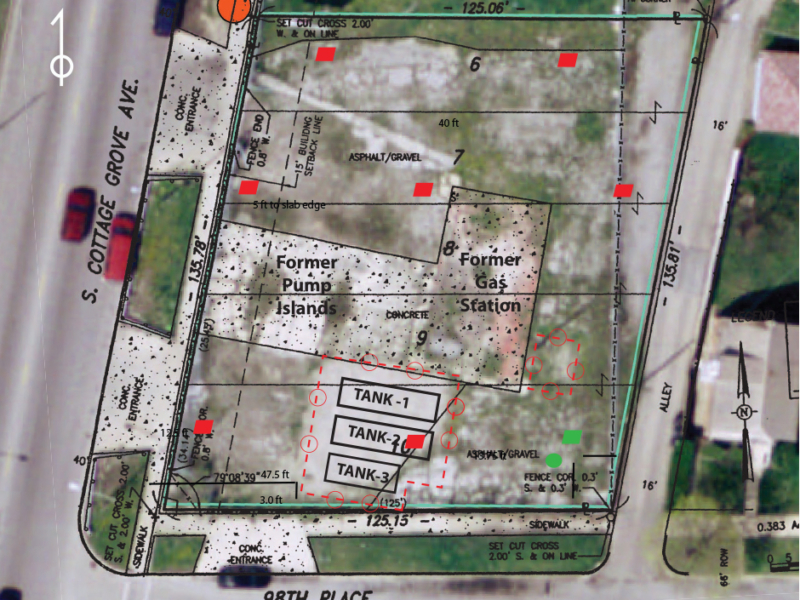 They assessed the feasibility of approximately 100 new, untested petroleum remediators and identified twelve new plants that are effective. 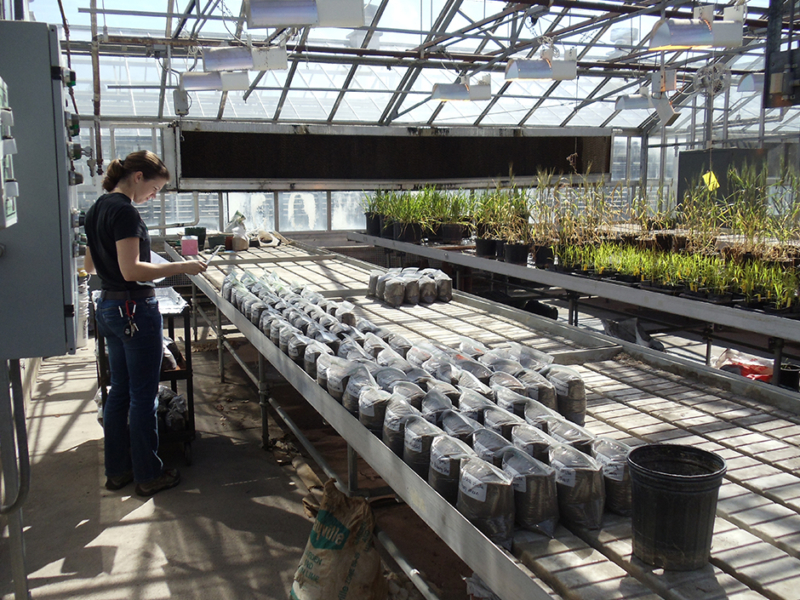 Remarkably, very few plants had been tested previously. The project also resulted in another innovation: Whitehead re-purposed a road building tool as a giant rototiller. This helped turn a heavy gravel layer into the existing site soils, combining with large amounts of compost, and thus keeping all contaminated soils out of landfill and available for on site cleanup. This new method came about through Whitehead’s creative, in-process problem solving which enabled the assessing of alternative options which may not have been previously considered. SLOW Clean-Up values time to create significant change. Whitehead refers to her training as a sculptor which enables her to think differently about time as a ‘material’ to manipulate. The concept is based on the Slow Food Movement, encouraging growing and cooking local produce as an alternative to the fast food (cheap and easy) approach. It is estimated that the process of permanent, sustainable remediation can take between 3-5 years. 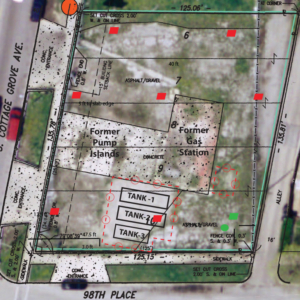 However, Whitehead describes alternative plans that would allow for quicker development of sites, which would disperse the toxins but likely be less permanent and require reseeding. 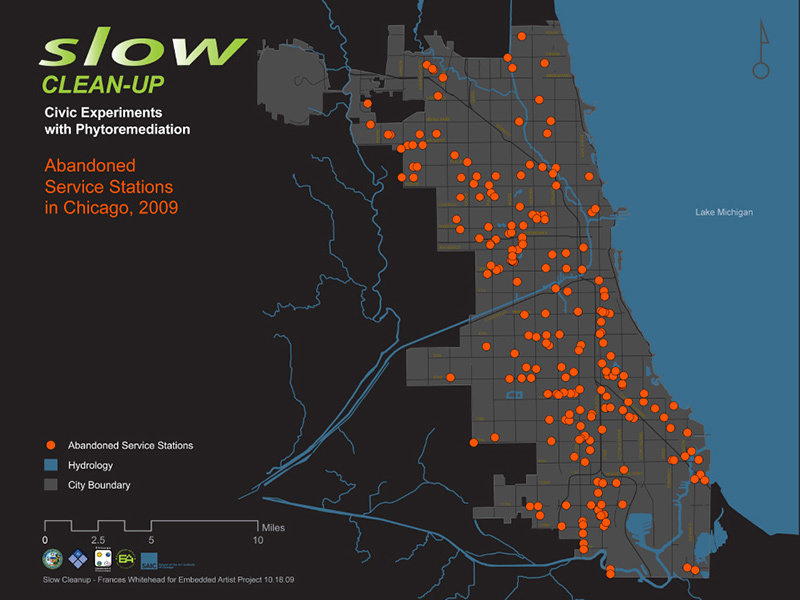 This pilot programme is an example for the potential remediation of over 400 similar sites across the City of Chicago. The project employs Jon Hawke’s four pillar model for sustainability addressing the environmental, economic, social and cultural sectors. Students studying a variety of subjects including art, soil science, horticulture and engineering have participated in the project, reflecting these pillars. Whitehead and Schwab have plans to conduct further research into plant petroleum remediation and to publish their outcomes. In addition, other locations will be considered for a comparable study using woody and fruiting species. An exact account of the scientific processes and the total net cost for hypothetical sites can be found in the Project Brochure for the Embedded Artist and SLOW-Clean-UP. 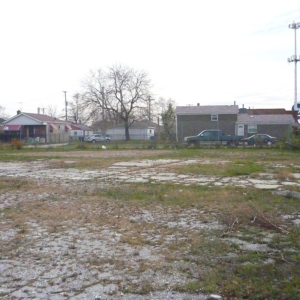 It has resulted in the Laboratory Garden in Cottage Grove Heights, Chicago. Frances Whitehead… pushes people to think differently about how art fits into, and shapes, our lives, from the mundane to the political — and how it might help us imagine a more sustainable future. 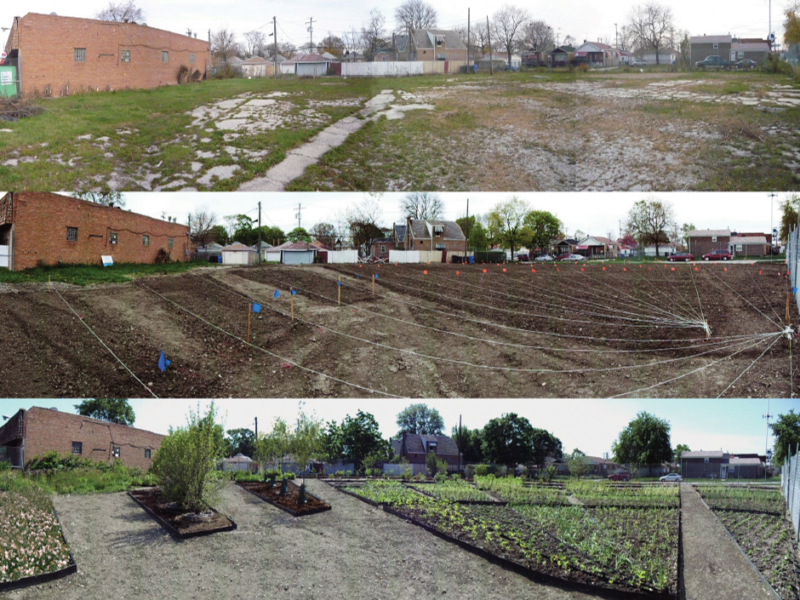 SLOW Clean-UP civic experiments created multiple environmental, economic, social and cultural benefits. 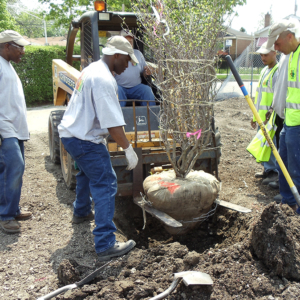 Remediation using plants means less material going to landfill. 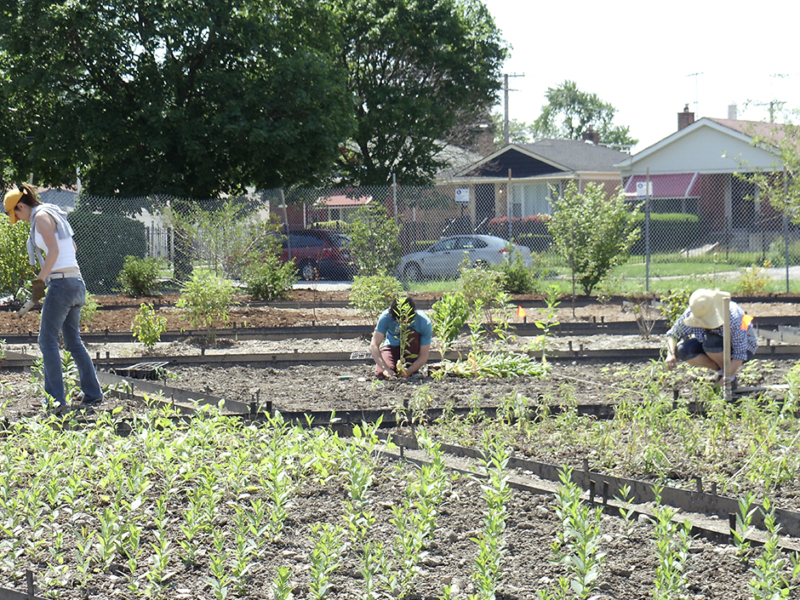 Creating the Lab Garden increases biodiversity and provides habitat for animals. It reduces heat islanding and delivers carbon sequestration. 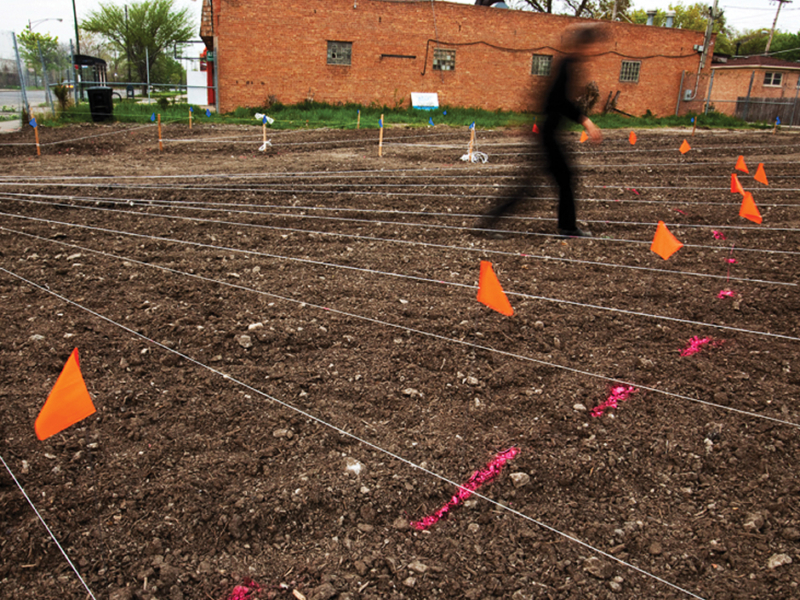 The Lab Garden creates civic research opportunities. 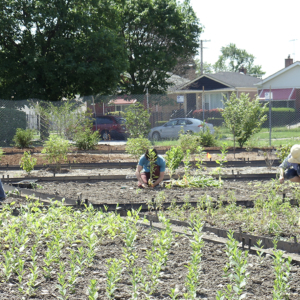 The garden can be interpreted and understood by the public, raising environmental awareness and creating educational opportunities for communities and students from a range of fields. The garden is both functional and visually appealing. As the appearance and environmental wellbeing of each site improves, the value of the land increases. My question is, how do you change the culture, and what do artists know that can contribute to this. Whitehead stresses through her project that meaningful and positive transformation, whether environmental, economic, social or cultural, requires significant time. Use voluntary labour and engagement from a range of interested groups (eg students). The SLOW Clean-UP project developed as a result of an earlier initiative by Whitehead, called the Embedded Artist Project, to embed artists in local government. 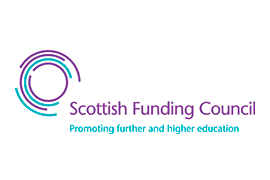 This project aimed to embed artists within city departments at a level that would allow them to creatively solve systematic problems within local governments, generating new, creative perspectives when tackling concerns faced by these organisations. The project was funded by the Department of Innovation and Technology from 2008 – 2012 and emerged out of the short text “What Do Artists Know?” written by Whitehead in 2006, which describes the methodologies and skills artists can employ. From 2012-2016, Whitehead was lead artist in the transformation of three miles of abandoned train line into a new public park. 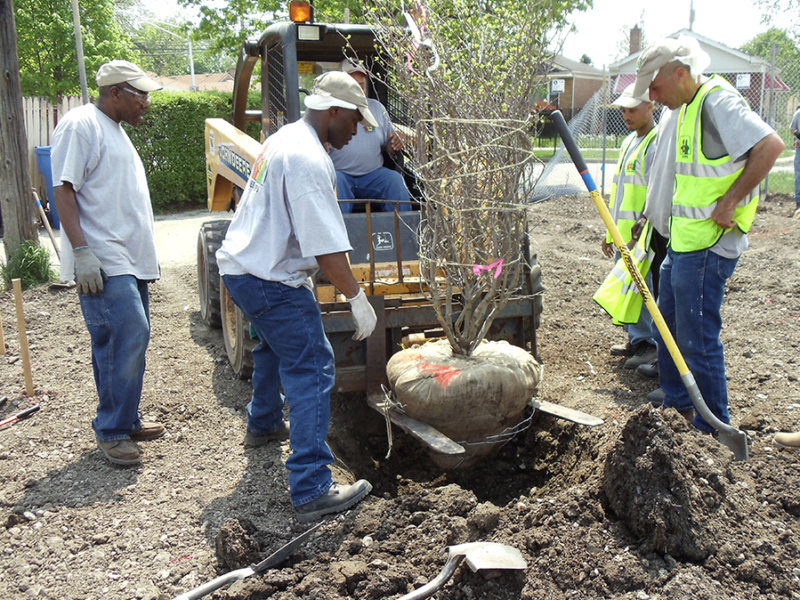 The 606 Park development used specific fruit trees and the changing elevation of the train line to create a new urban greenway highlighting the beginning of Spring. The changing elevation means that the fruit trees flower in a rolling wave up the train line/public park. 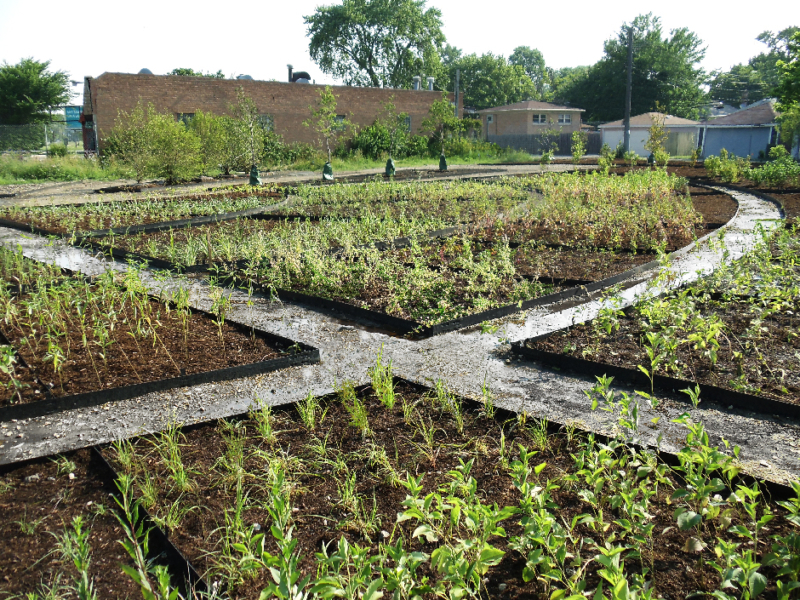 The 606 Park involves USA National Phenologic Network, Morton Arboretum, Chicago Wilderness Alliance, Peggy Notebaert Nature Museum and Brownfields Redevelopment Division. 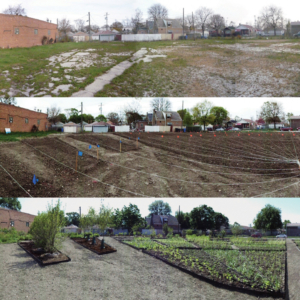 In progress since 2015, Fruit Futures Initiative Gary is a similar civic, economic and environmental project which transforms unused land in Gary, Indiana. Since industrialisation and subsequently deindustrialisation, many areas of the city are abandoned and unpopulated. 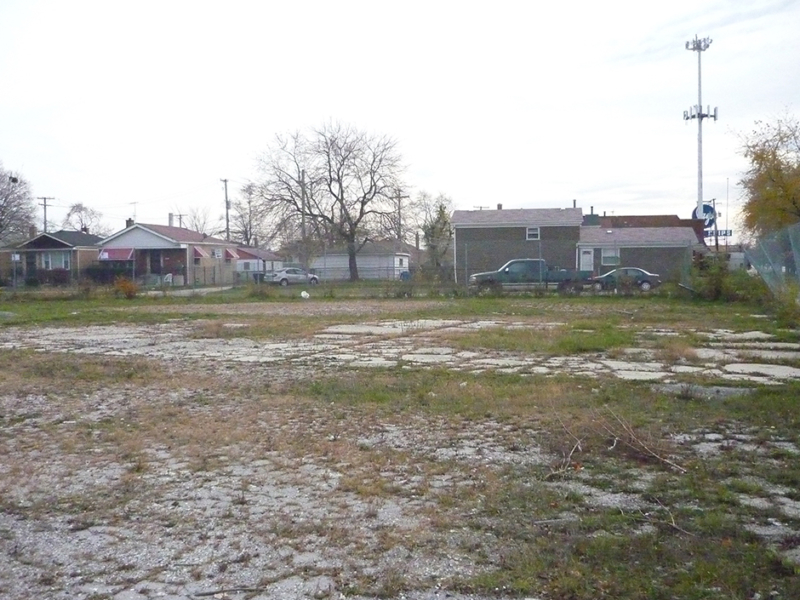 Fruiting trees were planted within these polluted sites to improve the condition of the soil. The Fruit Futures Initiative Gary, Indiana was supported by Whitehead’s A Blade Of Grass Fellowship, local communities, students, academics and religious groups. Project Brochure for SLOW Clean-Up, with estimated costs and a description of the process.